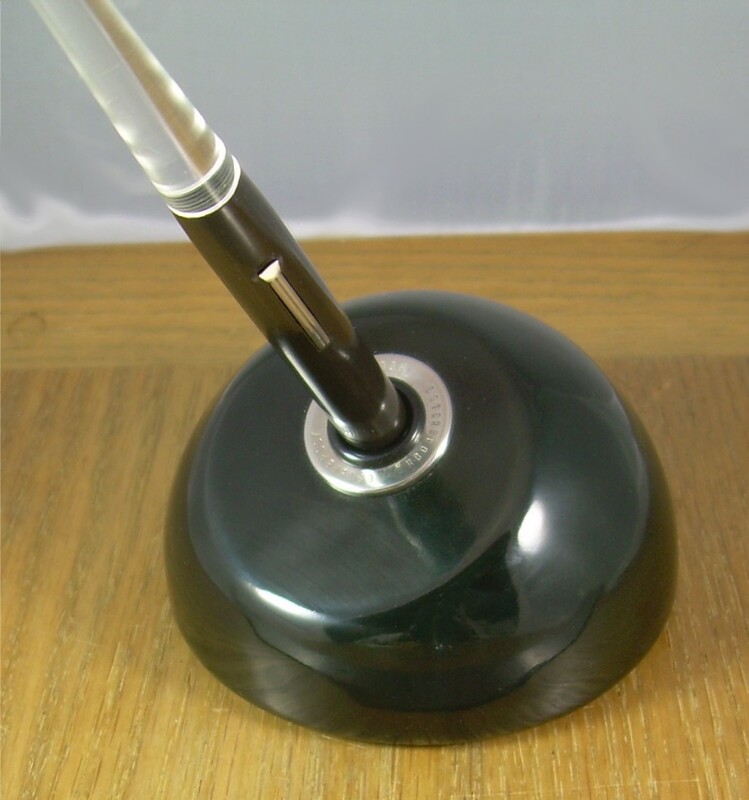 The popular name for this pattern of desk base is “Eight Ball”, although the Esterbrook catalogue refers to it only by code number: DB 112 in the case of black versions, DB 113 for a chained version, and DB 116 for coloured ones (“DB” rather cleverly standing for “Desk Base”). These bases came with a Model W pen. Production Run: c.1941 – c. 1970. Cost When New: Depending of colour $3.00 to $4.00 in the 1952 catalogue (for modern value, try this calculator). Size: 8.9 cm across the base.